I have already booked free round trip flights to Boston for my wife on American Airlines. We used 42,500 American Airlines miles and paid $11.20 in taxes and fees. This has saved us a total of $543.80 on flights (conservative estimate of value). I was happy to find out that her business meeting will take place at the Sheraton Boston Hotel, which coincidentally is a Starwood Preferred Guest (SPG) property. The Sheraton Boston Hotel has rates that are quite expensive for the nights my wife needed hotel stay. The cash price for staying at this hotel is minimum $353 a night, the prepaid rate. A two-night stay would have cost $706 to stay at this hotel! While there are many hotel or airbnb options close by the Sheraton Boston Hotel, it doesn’t get more convenient than staying at the same site of the conference. 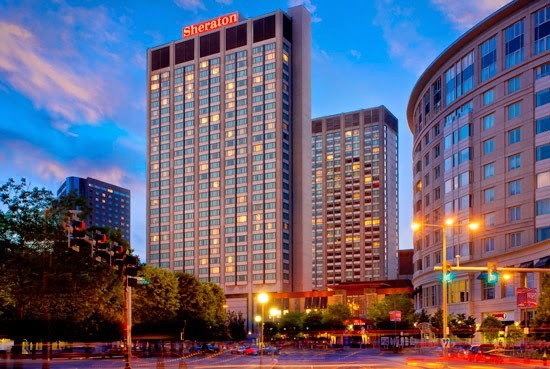 The Sheraton Boston Hotel is an SPG category 5, which means that it costs 14,000 Starpoints for a free award night, and 28,000 Starpoints for 2 free nights. Expensive. 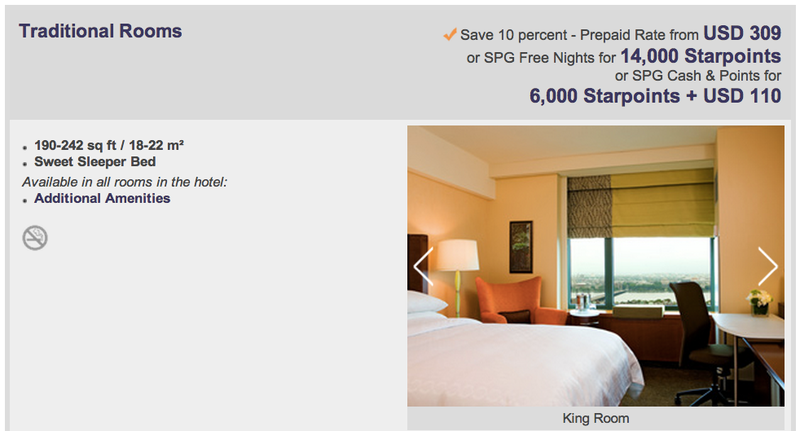 Note, the website says "From 12,000 Starpoints per night," however this stay would have cost 14,000 Starpoints per night. We saved $1,047.45 on 5 free nights in Tokyo, Japan at the Sheraton Miyako Hotel. We saved $278 on 2 free nights in San Francisco, California at the Four Points by Sheraton San Francisco Bay Bridge. We saved $202.38 on 1 free night in Miami, Florida at the Element Miami International Airport. We saved $1,000 on 5 free nights in Seoul, South Korea at the Sheraton Seoul D Cube City Hotel. Since we are running low on our balance of Starpoints, I decided to try the SPG Cash & Points feature to book this hotel stay. Instead of paying $353 a night to stay at the Sheraton Boston Hotel, using SPG Cash & Points gives us a reduced rate of 6,000 Starpoints and $110 per night. You can read more about the SPG Cash & Points feature at the SPG website here. If you don’t have your own SPG card, you can apply for an SPG Personal card here and / or an SPG Business card here. I’m off to earn more Starpoints!